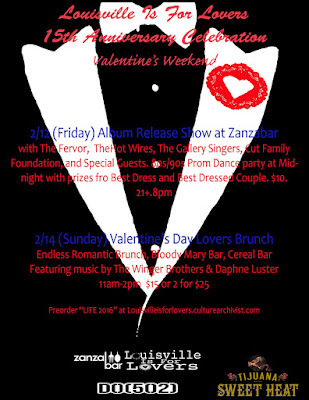 Louisville Is For Lovers: Valentine's Weekend Album Release Celebration! Valentine's Weekend Album Release Celebration! Just announced! The Louisville Is For Lovers Valentine's Weekend celebrating the 15th anniversary of the series, as well as the release of our new compilation (featuring over 30 unreleased tracks by Louisville bands including White Reaper, Twin Limb, Quiet Hollers, Lydia Burrell, The Deloreans, and more). On Friday Feb.12th is the Album release show featuring The Hot Wires, The Gallery Singers, The Fervor, and The Cut Family Foundation followed by a 80s/90s Dance Prom at midnight with prizes for Best Dress and Best Dressed Couple. tickets $10. 21+ 8pm. 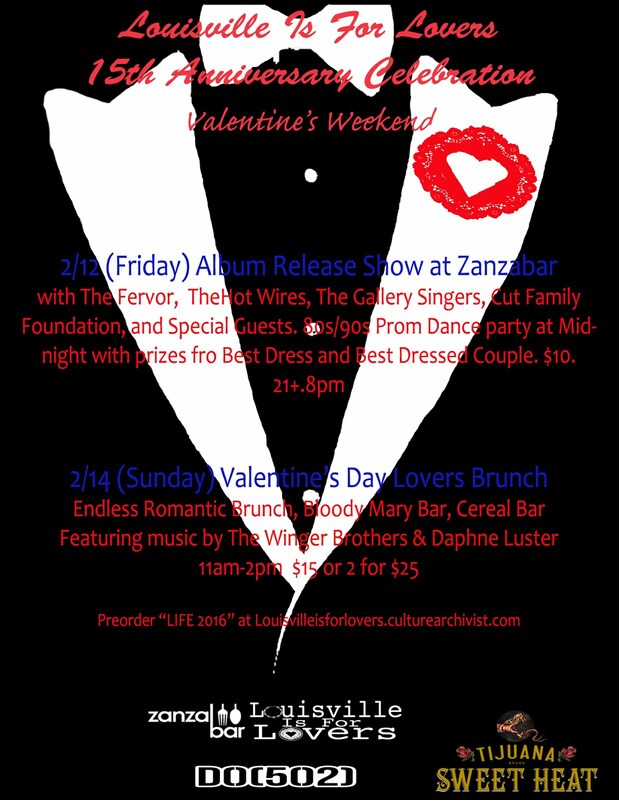 On Sunday Feb.14th is the Louisville Is For Lovers Valentine's Brunch also at Zanzabar from 11am-2pm with an Endless Brunch, Bloody Mary Bar, Cereal Bar, and music by Daphne Luster and The Winger Brothers. tickets are $15 or 2 for $25. Tickets to both events are available here.